This 1996 book tells the fascinating story of the life and work of Eileen Power, a major British historian who once ranked in fame alongside Tawney, Trevelyan and Toynbee. 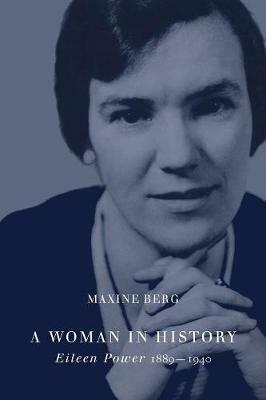 Using letters, diaries and reminiscences, Maxine Berg recreates the life of this charismatic personality, describing, for the first time, Power's remarkable intellectual and scholarly achievements at a time when she was acting very much outside the conventional female role. Her ability, coupled with her vivid writing and pioneer radio broadcasts, made Eileen Power's unique approach to history compelling reading and listening to a whole generation. Dr Berg sets Eileen Power's historical writing in the political and cultural framework of the interwar years, and shows how this early writer of women's and medieval social history helped to create a broad, comparative economic and social history for the succeeding generations.